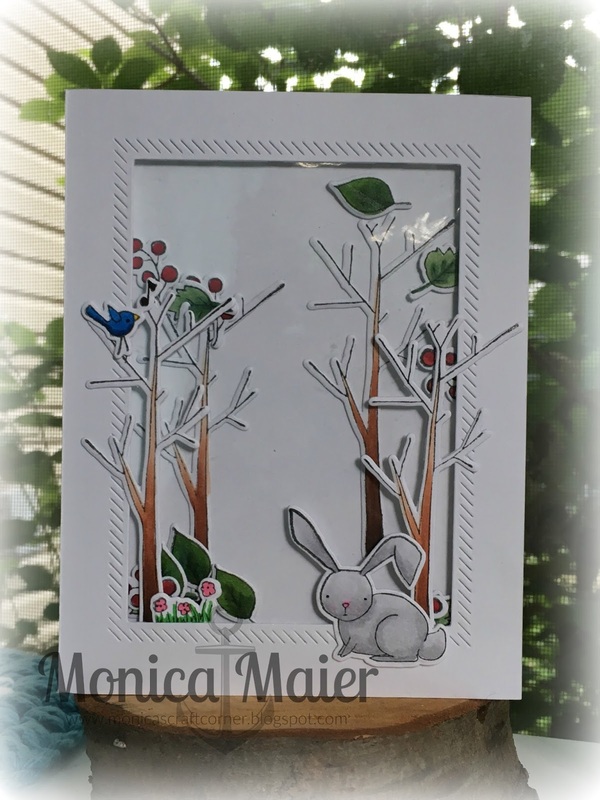 Here is my last card for August and my third card using the same woodland pals set from Elizabeth Crafts! Who has been a wonderful sponsor! 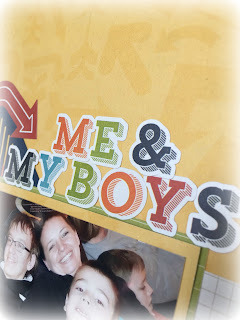 I had previously stamped, colored and die cut my images, so it was easy to grab the ones I wanted to use for my scene. I started by added color to my background using distress inks. 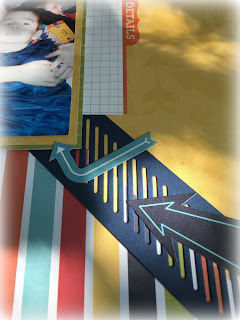 Then adhered my images in place to create the scene. 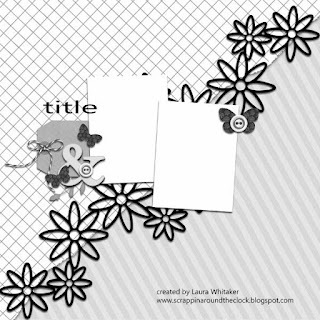 Having the images done before had made it quite easy to finish the card! and a sketch form Stuck?! Sketches. 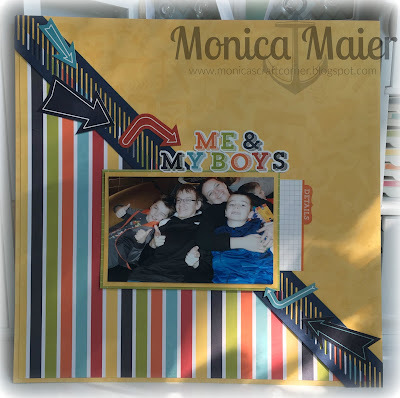 My finished layout uses a picture of me and my boys taken on my youngest's 8th birthday. He wanted to go to the Childrens Musuem in Indy, to see the Dinosaurs. He had a great time, so did his brothers even though they are starting to get a little old for the place! 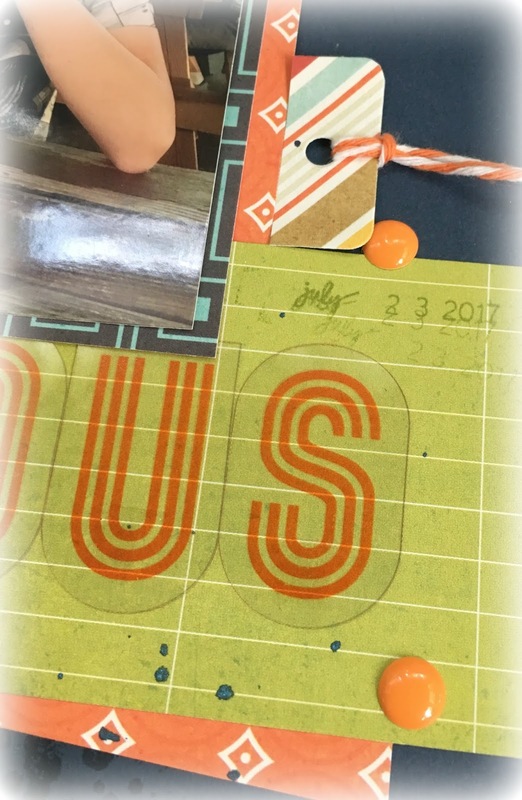 I saw a lot of beautiful die cuts on the DT inspiration, but didn't know what I wanted to use for the diagonal. 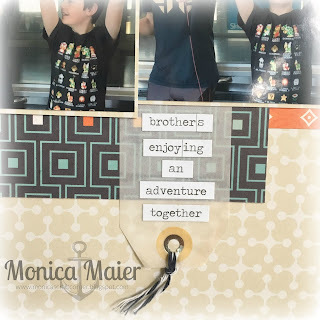 I didn't want it to be to frilly since it's my boys, so I used the Air Vent die (retired) from Simon Says Stamp ( It's been awhile since I used it). The yellow background paper had arrows on it and I wanted to carry on the theme with the border strip. Luckily my kit had coordinating arrow stickers that I stuck down to point towards the picture. I loved the alpha that was part of the same sticker sheet the arrows were on and used them for my title. It helped to bring the rest of he colors to my mono-toned yellow background. 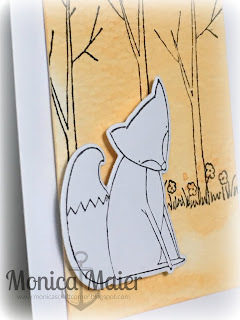 Here is a quick peak at my card over at A2Z, feel free to stop by the blog for the details! Hello all! 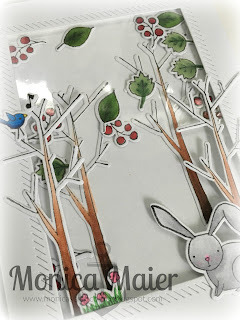 Today's card is a shaker card for the Die Cut Diva's blog. 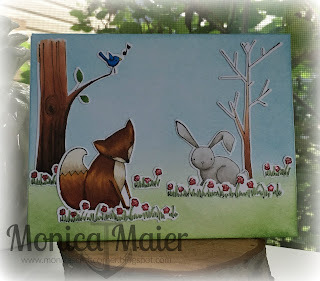 It's my second card in my little series of 3 cards 1 set. 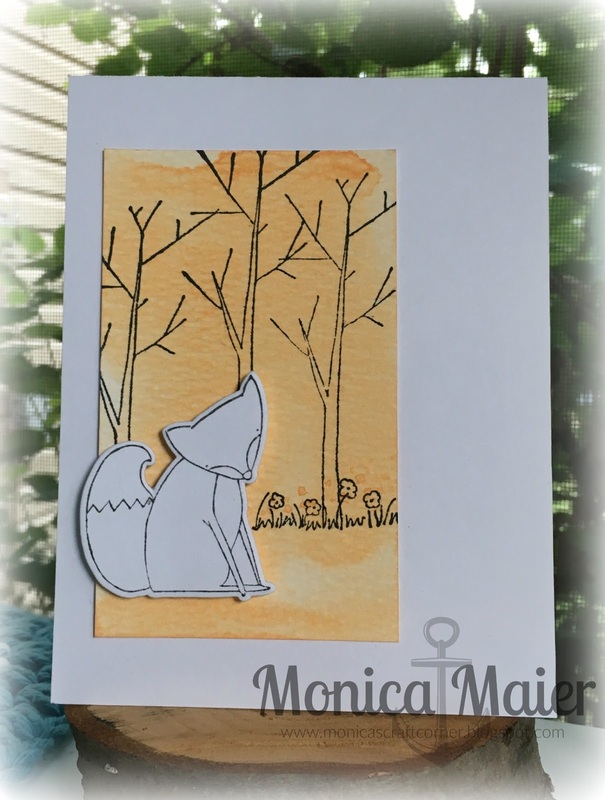 I'm using the adorable Woodland Pals set from our sponsor Elizabeth Craft! When I got my set I stamped multiple images on some scrap cardstock. 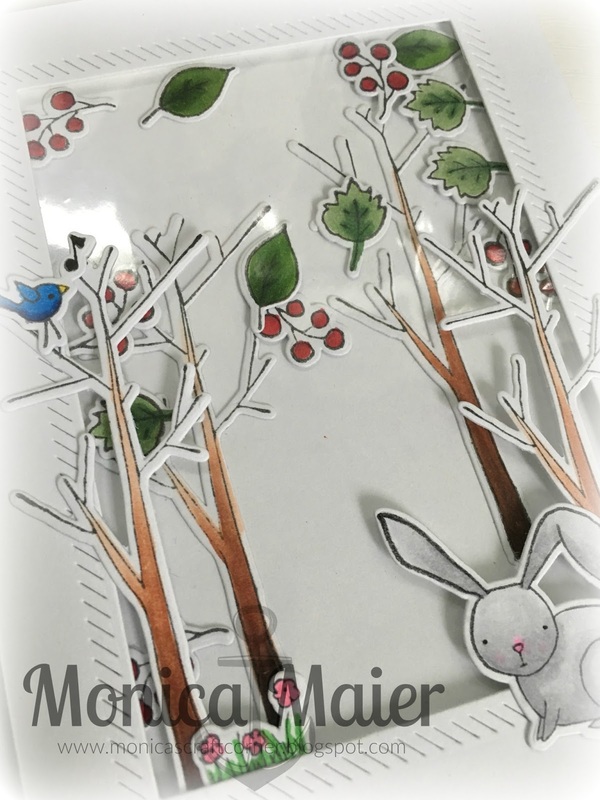 Decided to color them all before die cutting. Made my planning a little easier for my cards. Since I had colored and cut a lot of extra little bits I thought they would be cute in a shaker. Today I'm popping up with a scrapbook layout for my guest DT spot for the Counterfeit Kit Challenge. 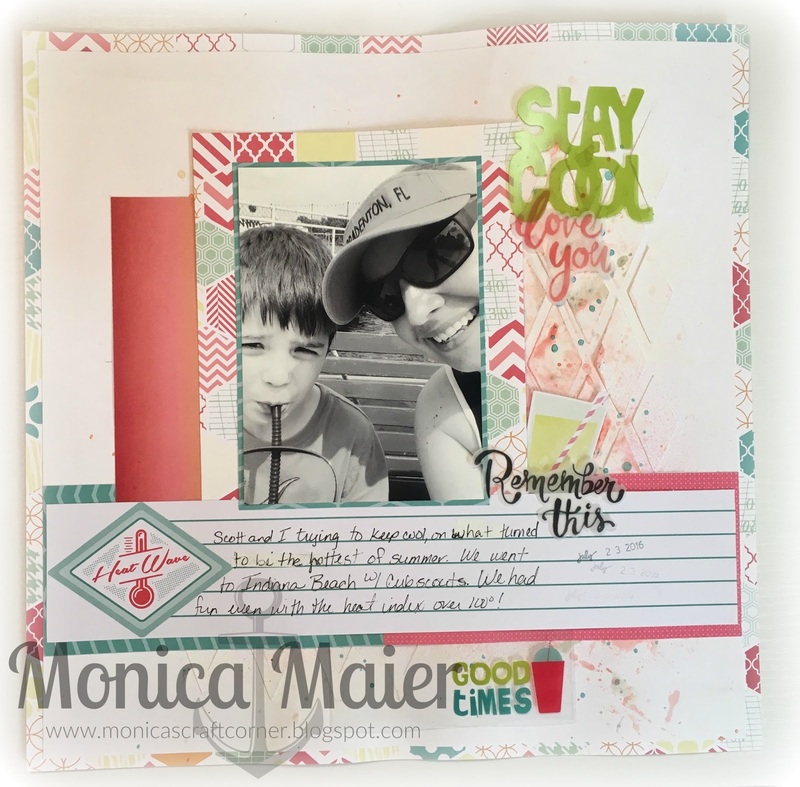 This time around we were challenged to scraplift one of our own previous layouts. I didn't have a lot to chose from being that I've been slacking in my scrapping time. I ended up choosing a page I did last year, that I'd attempted a little mixed media! I wasn't totally happy with the way it turned out, but like the basic sketch of the page. So that is why I picked it for the challenge. I did make a few changes... like the pattern paper border is bigger and my strip goes across the the full 12 inches! Since the pattern paper shows more I decided to keep my embellies smaller, I'm finding that I don't like to make a page look super busy! I'm still working on finding my style... until then I'll just keep trying new things and playing with my goodies! 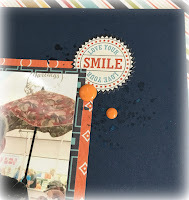 I stamped the ink spots in a navy ink and sprayed some Heidi Swapp color shine to add a little shimmer. 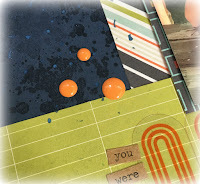 Added a few orange enamel dots to the ink clusters for a splash of another color. Below you can see part of the tag I used for my journaling. 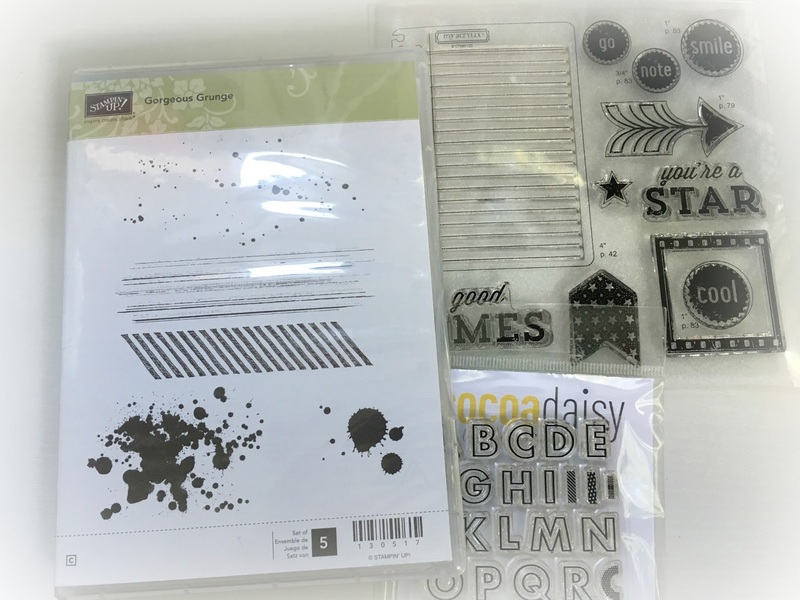 This post is my reveal for the Counterfeit Kit Challege this month. We were to use phrase stickers on out layouts. I know I have a few and don't always use them on pages and should really use them more. 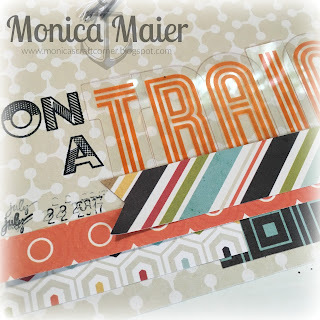 On today's layout I used them on a tag for my journaling, even cut a few to make the words needed for it. I used this sketch from Stuck?! Sketches for a little more inspiration and will link this up to their challenge! 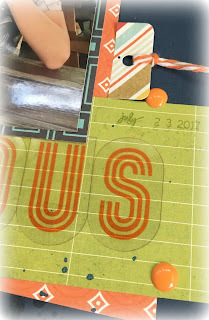 I love the phrase stickers from Tim Holtz, made it easy to make a journal tag with what I wanted it to say. I'm also loving the clear alpha, I bought them on sale probably about 2 years ago and have never used them! 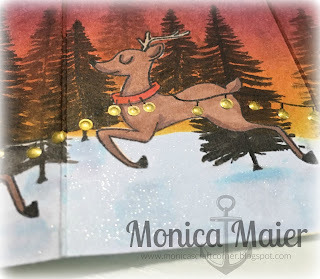 I'm really happy how the page turned out, it was even husband and kid approved! Here is my first card for the Anything goes challenge over at the Die Cut Diva's challenge blog. 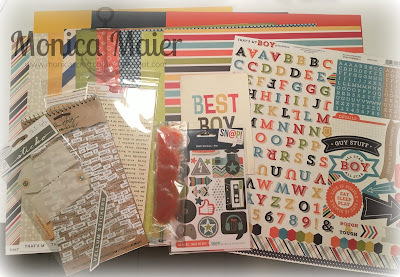 This month our sponsor is Elizabeth Craft Designs. I have the Woodland Pals stamps and dies that I will be using this month. So you will see 3 cards with 1 set from me, kind of like a little mini series! I had a scarp piece of water color paper, previously colored, sitting on my desk. 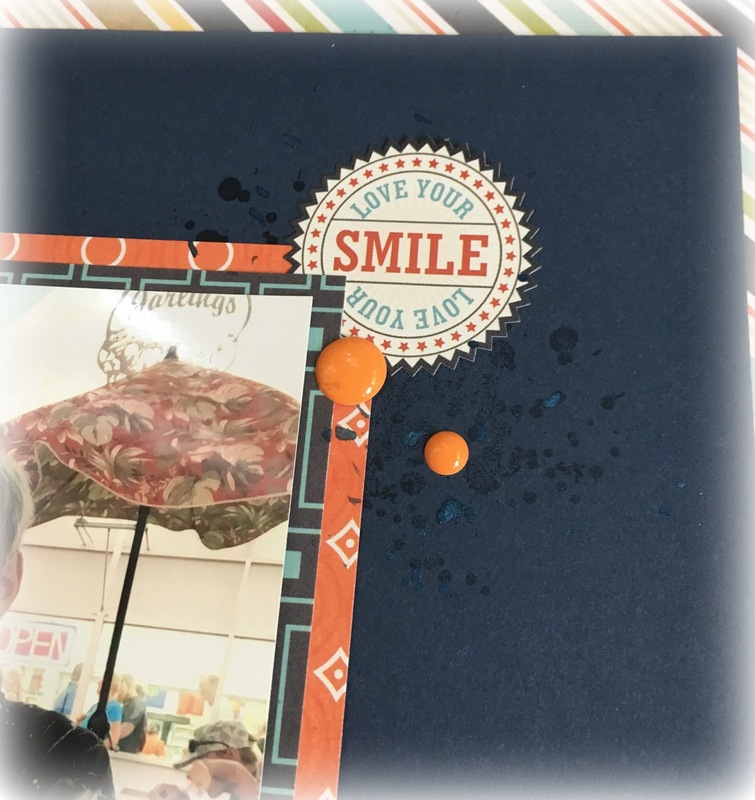 I thought it would be a perfect background and keep my card clean and simple. So I trimmed it down to the size I wanted and stamped my background. Then I adhered it to my card base. 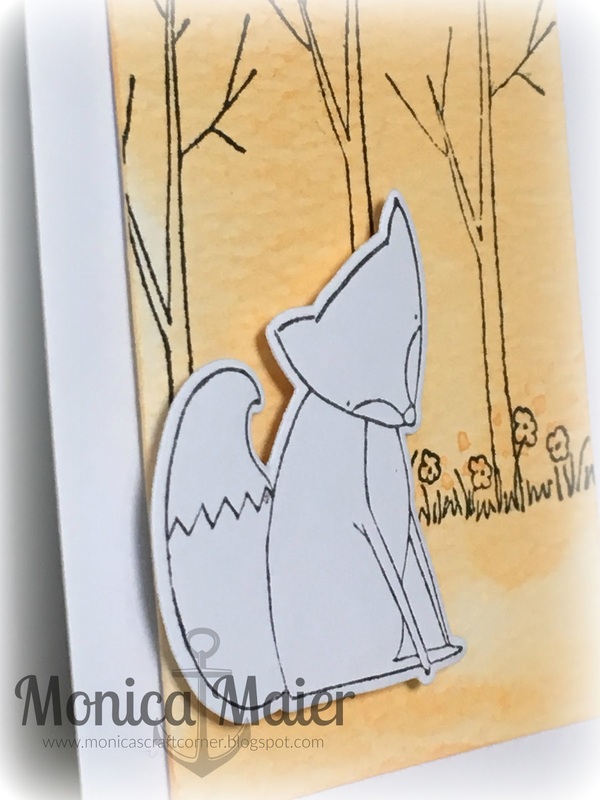 The adorable little fox was stamped and then die cut, before adhering him with foam tape. Happy Tuesday, I can't believe it's August already! 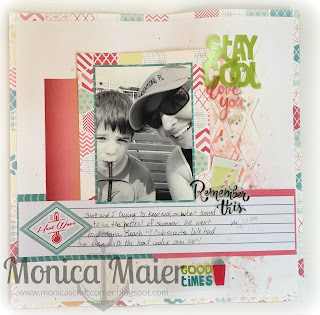 Today I'm excited to be a part of the Counterfiet Kit Challenge blog hop today as the August Guest Design team member! This month our inspiration kit is the July 2017 Gossamer Blue kit. The first thing that stood out to me in the kit were the colors! I think the colors give more of a masculine feel even with the floral patterns mixed in. So that is what I based my kit off of. This kit will work well with pictures of my boys! Here are some stamps I added to my kit. There are images I thought would work well with the kit and pictures I'm planning to use. I'm looking forward to using this kit and getting some more pictures in albums! Follow along with the links below to see what the other ladies have created for their kits this month.